This past Saturday September 24th Academy Sports + Outdoors and the Houston Astros announced a partnership that will bring a lot of joy to many little ones in our City. 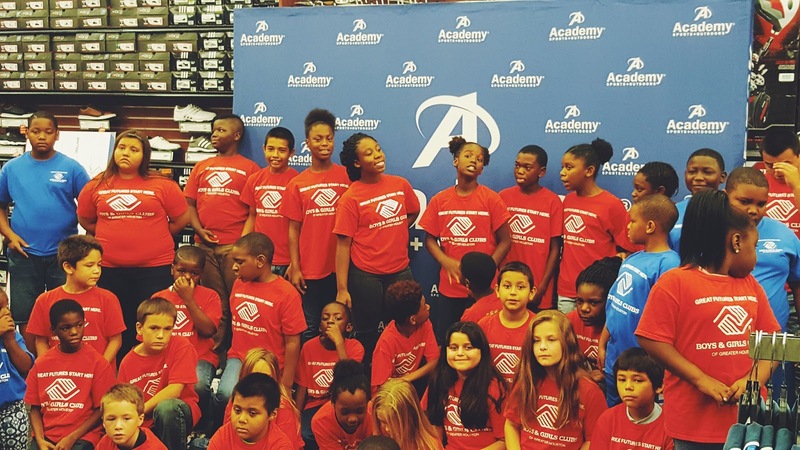 They Donated 1,938 tickets to the Boys & Girls Club of Greater Houston in commemoration of Academy's founding year. 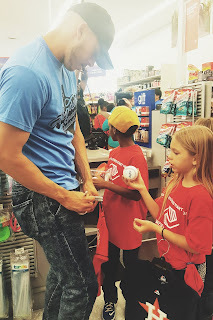 Carlos Correa the Short Stop for the Houston Astros was present and helped 38 kids pick out new Astros Gear. Carlos Correa went above and beyond and signed the Gear. The Store was filled with smiles thanks to Academy for providing them with a $50 shopping spree. Academy also donated $38,000 to Correa's charity partner, Houston Children's Charity, as part of the Home Runs for Houston. 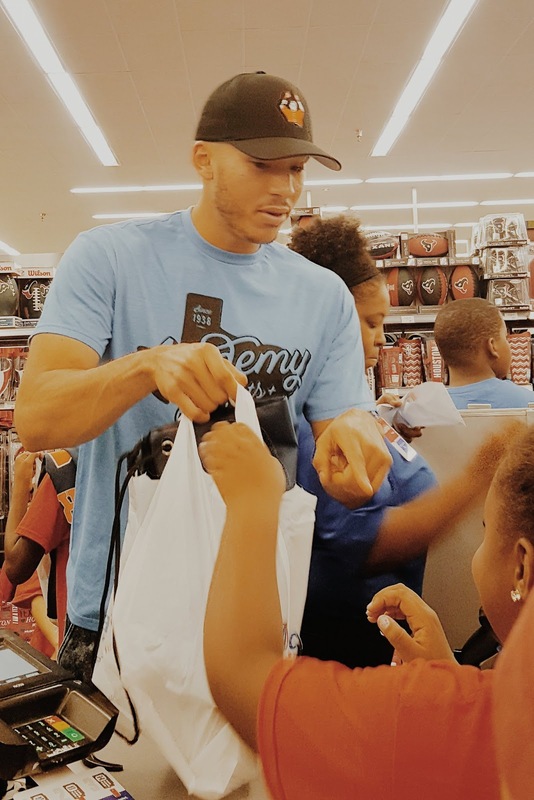 Academy has been in the community since 1938 and the first retailer that comes to my mind when in need of anything for our sports and outdoor needs. Being at this event brought so many memories of my childhood when my dad would take me. I always got lost looking at all the sporting goods. Do you know of any great places in Houston to make sports and outdoor memories? Academy will be on the lookout for post use #lovehou to share with us!!! Thanks to Academy you have the opportunity to Win a $50 gift card!! !